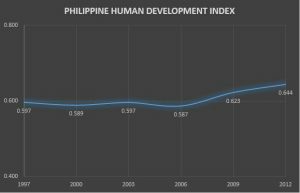 The Human Development Index (HDI) has been included in the official statistics of the Philippine Statistics Authority (PSA). The PSA Board also approved the official estimation methodology to be used for computing the 2015 HDI and back estimates during its regular meeting last August 25, 2017, at the National Economic Development Authority, Pasig City. The methodology on generating HDI was presented by Deputy National Statistician Romeo S. Recide to the PSA Board and was approved by the PSA Board Chairperson and NEDA Director-General Ernesto M. Pernia. Over the past few years, HDN and PSA has been working on computing the provincial HDIs and has an agreed memorandum of understanding to use UNDP’s 2011 global methodology. 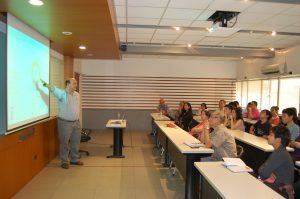 The Human Development Network (HDN) and the Philippine Center for Islam and Democracy (PCID), non-profit organization dedicated to the study of Islamic and democratic political thought held a roundtable discussion on the relationship between neoliberalism and political extremism on May 30, 2017 at the UP School of Economics. Prof. Sanam Anderlini, co-founder and executive director of International Civil Society Action Network, a global association of human rights activitsts, as the keynote speaker. Prof. Anderlini discussed how the neoliberal context contributes to the rise of extremism. She pointed out aspects of the neoliberal ideology, including wealth inequality among people and the education system further promoting such ideology, that push some people towards radical beliefs. She noted that to address a complex challenge, policies should consider ideas from different fields of study in order to deepen development that is focused on the reduction of poverty and inequality. The discussions that followed tackled how to address this challenge, especially in the context of the Philippines. 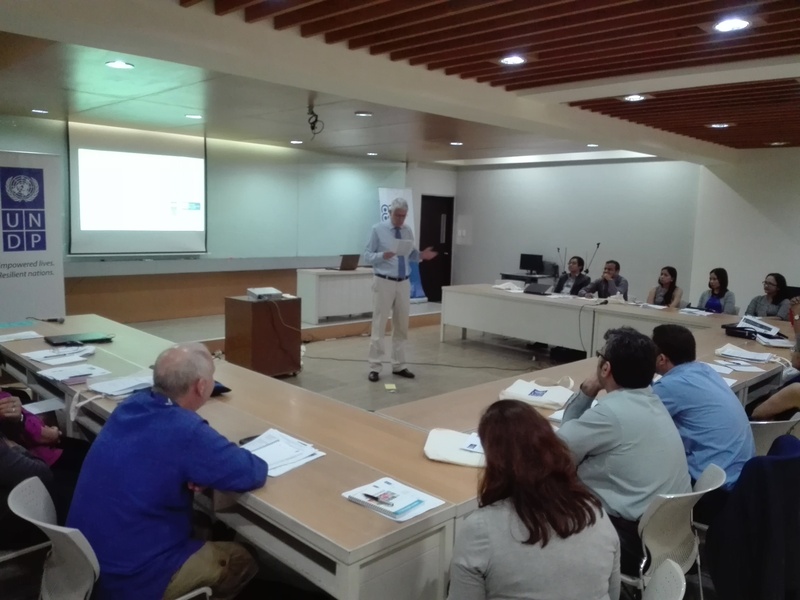 The event was attended by representatives from the different sectors, including the academe, civil society and government, and was moderated by Dr. Randy Tuano, project coordinator. 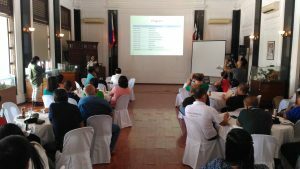 The Human Development Network, in coordination with the Institute on Climate and Sustainable Cities, organized a provincial empowerment program workshop at the Governors’ Hall, Leyte Provincial Capitol, Tacloban, last July 27. 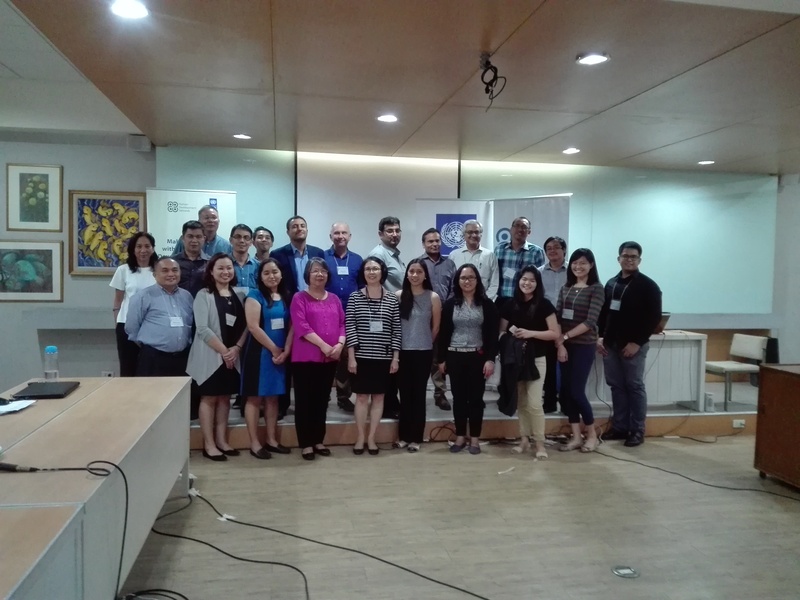 The workshop was attended by the Provincial Planning and Development Office, headed by Ms. Corazon Alvero, Provincial Planning Officer, and representatives of more than 30 municipal planning offices in the province. During the workshop, a presentation of the 2012/ 2103 Philippine Human Development Report and its implications to local planning was presented by Dr. Randy Tuaño, HDN coordinator, and an overview of the provincial economic plan was provided by Ms. Alvero. 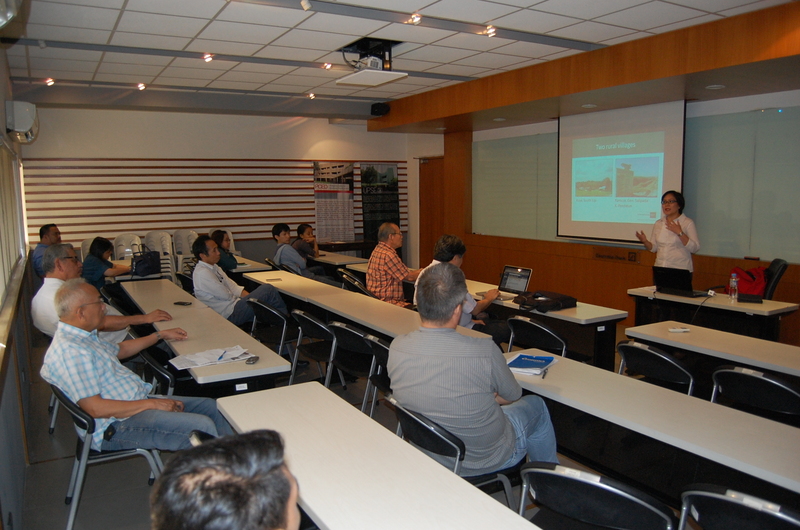 Kairos dela Cruz, ICSC program coordinator, facilitated a workshop on municipal development priorities in the afternoon. Afterwards, a discussion on the different funding mechanisms available for local governments was presented. 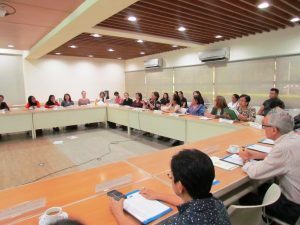 The Human Development Network, with the participation of the Republiko, an advocacy campaign supported by the United Nations Development Program to develop and lobby for a policy agenda that would inclusive development in the country, organized a roundtable discussion on decentralization, democracy and development last February 15, 2016, at the Mercedes Concepcion Seminar Room, Philippine Social Sciences Center, Diliman, Quezon City. The roundtable discussion was held in order to reflect on country experience of democracy and development, highlighted by the gains since the EDSA revolution and the enactment of the Local Government Code, as they affect the quality of both local and central governance and the level and pace of human development. 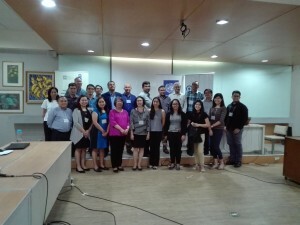 Participants included key personalities from the academe, advocates/development practitioners, national government officials, associations of local government units, independent scholars, and civil society. Dr. Fernando Aldaba, Dean of Social Sciences of the Ateneo de Manila University and Secretary of the Human Development Network, presented the Philippines’ 2014 Human Development Indices and Rankings during the Regional Launch of the 2015 Human Development Report last January 18, 2016 at the Manila Peninsula Hotel. In his presentation, it can be concluded that the Philippines, compared to others, slightly improved in terms of human development, as its Human Development Index increased marginally from 0.664 in 2013 to 0.668 in 2014. 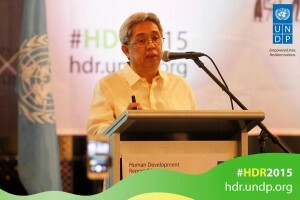 The Philippine Statistics Authority (PSA) and the Human Development Network (HDN) release today preliminary estimates of the subnational Human Development Indices (HDI) for the year 2012 using the interim methodology agreed upon by the former National Statistical Coordination Board (now part of PSA) and HDN in February 2012. The interim methodology was previously applied in estimating the 2009 subnational Human Development Indices. The United Nations Development Programme (UNDP), supported by the Human Development Network, organized a 3-day regional workshop entitled “Making an Impact with National Human Development Reporting” last November 17 to 19, 2015 at the School of Economics, University of the Philippines, Diliman, Quezon City. The workshop aimed to enhance the national human development reporting process throughout different countries in the Asia-Pacific region. Participants shared their best practices and strategies on producing a national human development report. The workshop covered the measurement of human development, selecting and developing a theme, assuring multi-stakeholder ownership, quality and independence, and how the report will make an impact to the society. 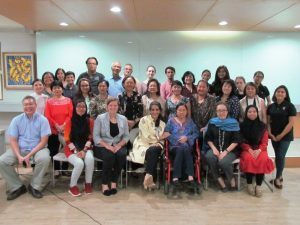 Foreign participants came from Afghanistan, Cambodia, Pakistan, and India while local participants came from government agencies such as Philippine Statistics Authority, National Economic Development Authority, and Congressional Planning and Budget Department of the House of Representatives. The participants agreed to undertake an exchange of their human development reports online in the coming months.